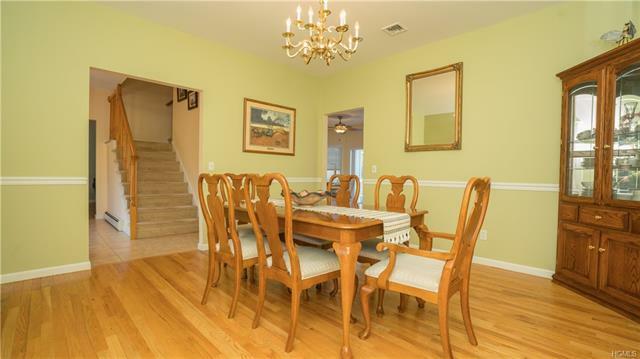 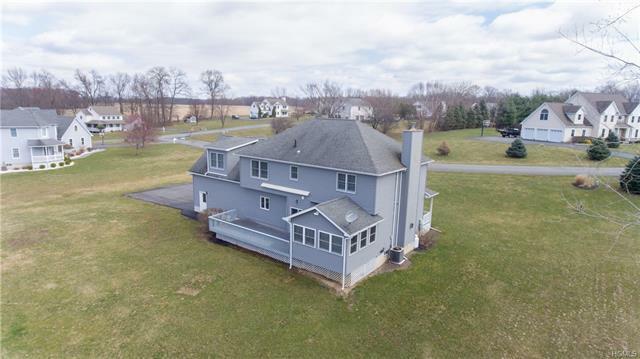 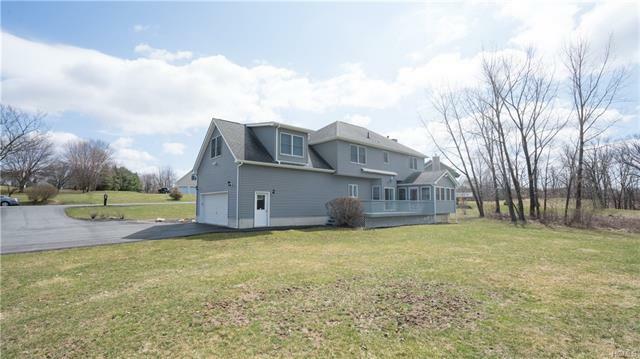 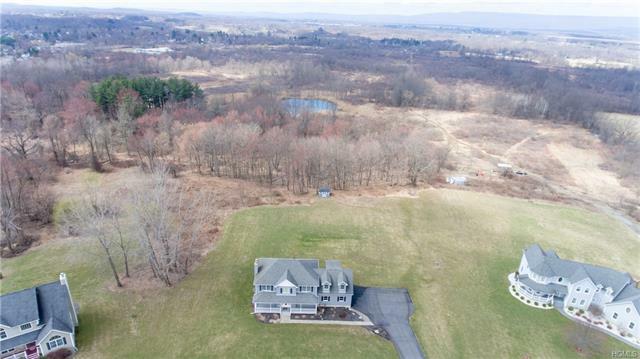 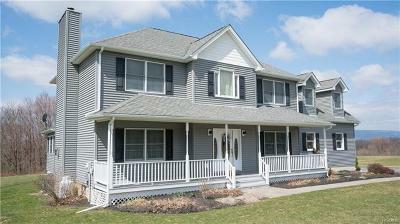 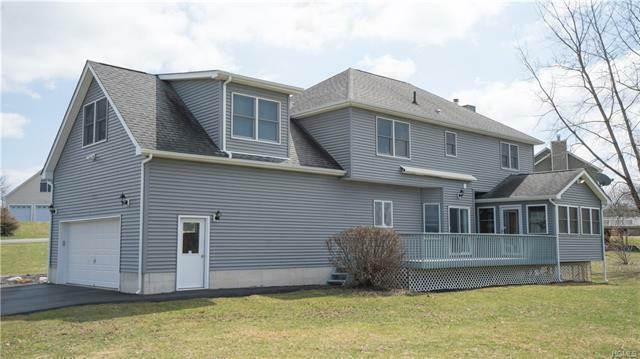 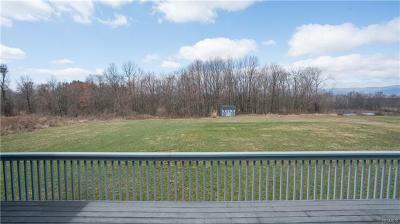 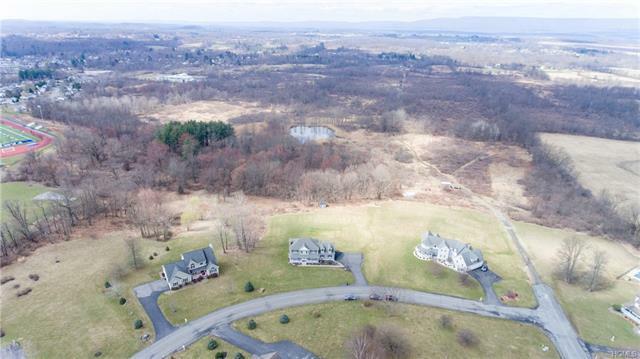 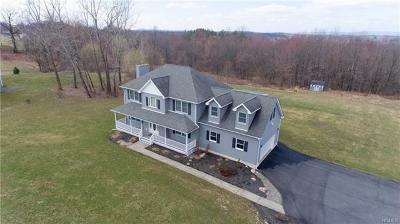 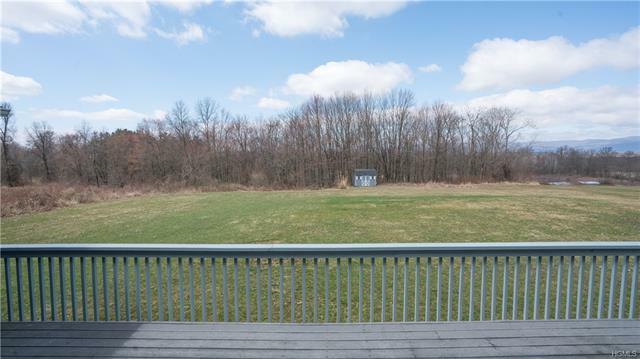 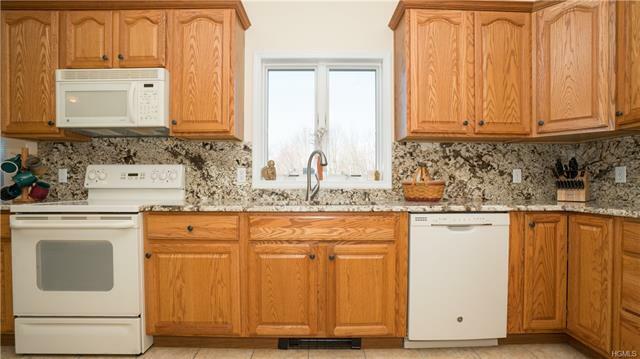 WALLKILL-GORGEOUS MOUNTAIN VIEWS-Beautiful Colonial in a well-established neighborhood in the Wallkill Central School District. 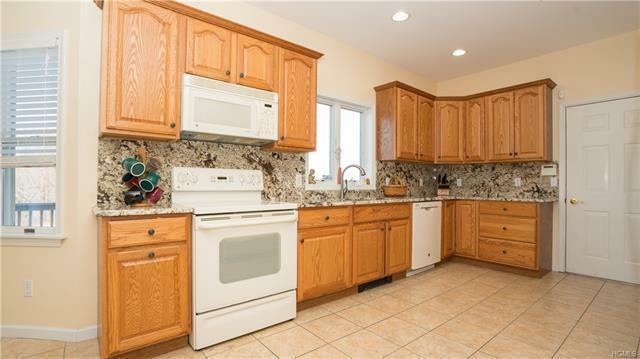 Main level features bright eat-in kitchen area with granite counter tops, tiled floors, dining room with hardwood floors, living room w/ gas fireplace, h/w floors, surround sound and half bath. 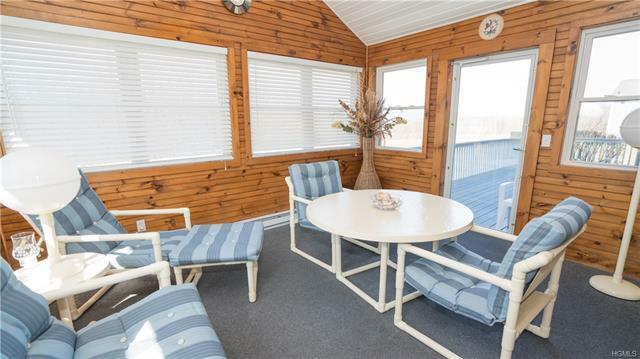 Fabulous four-season sunroom with heat and surround sound, perfect for entertaining. 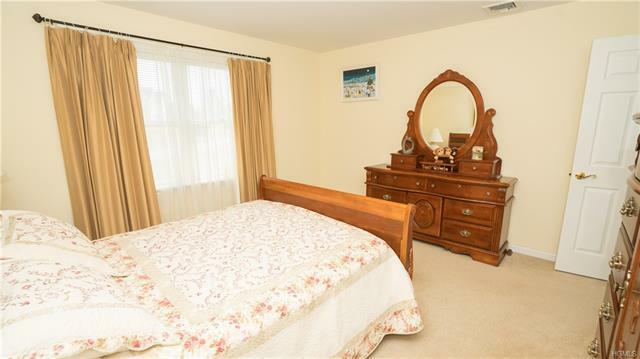 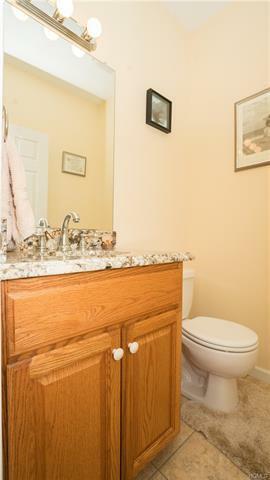 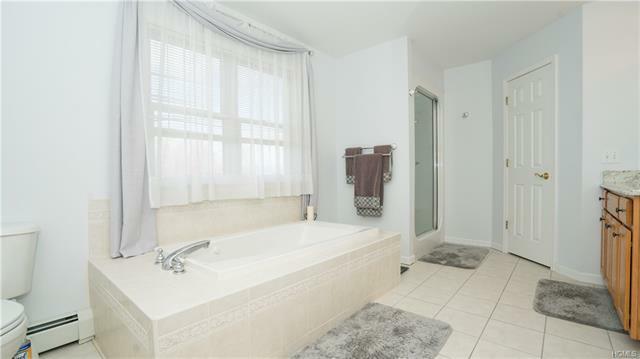 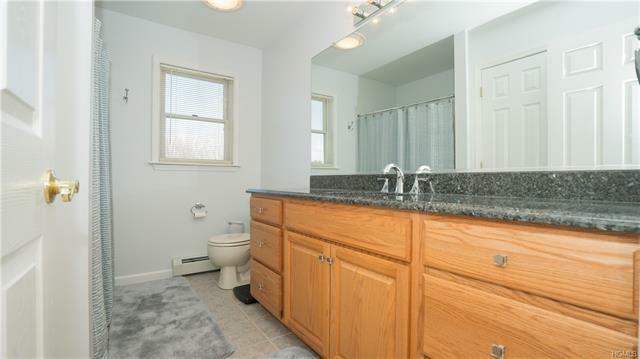 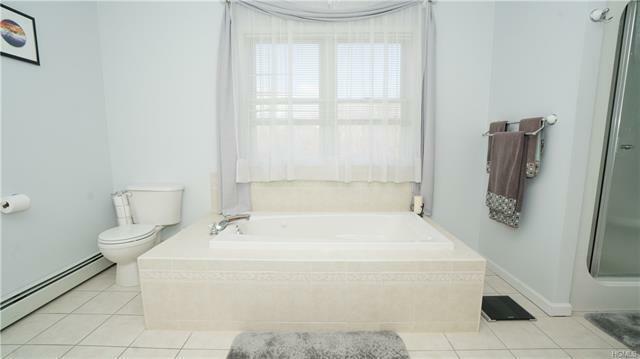 Second floor has Master bedroom with en suite, spa tub, tiled floors, granite counters, shower, two more nice-sized bedrooms and a large hallway bath, fully finished bonus room. 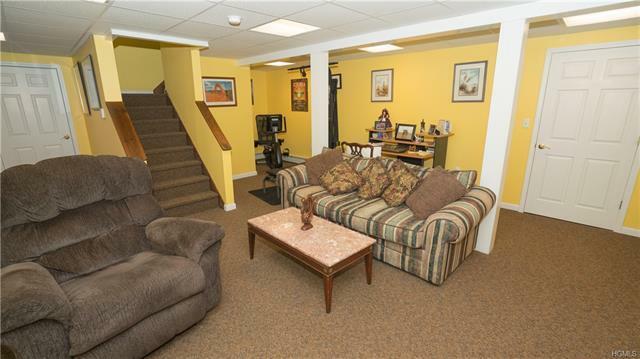 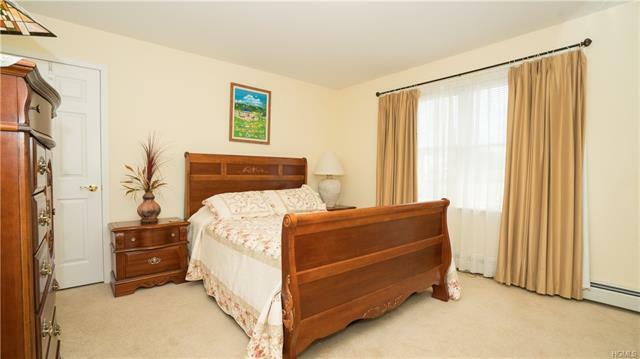 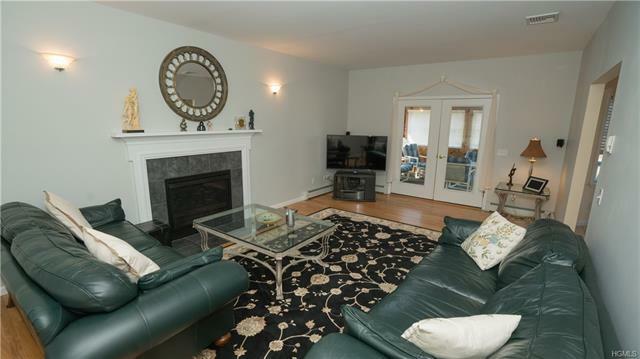 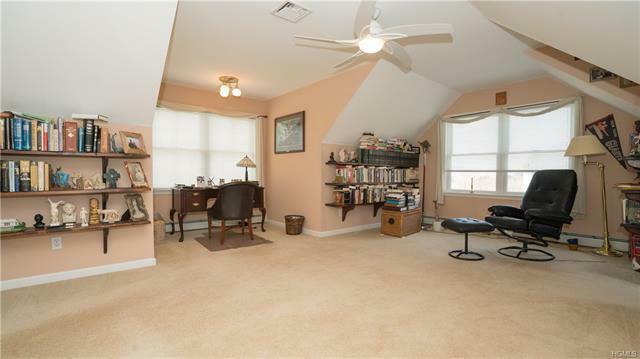 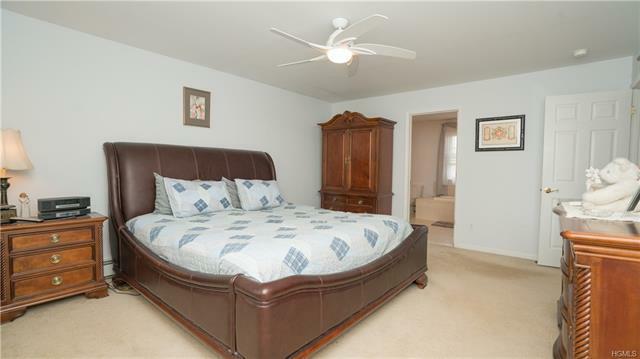 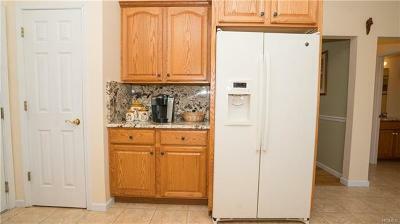 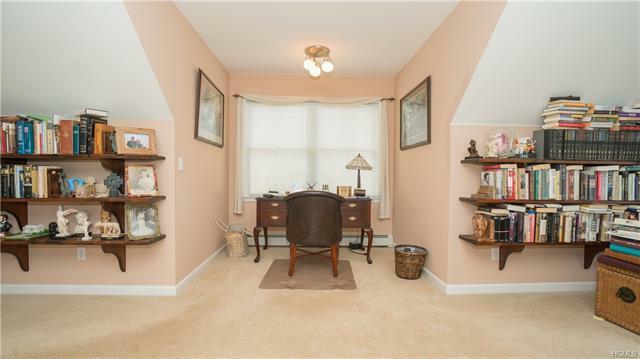 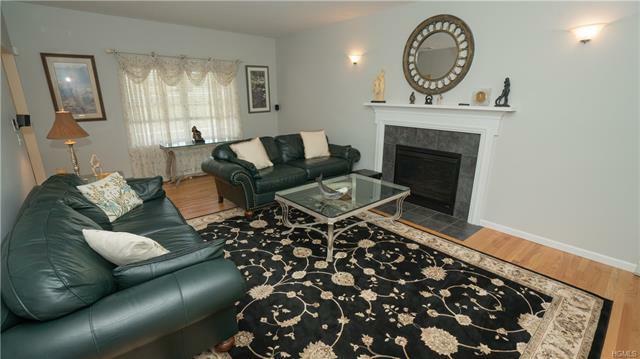 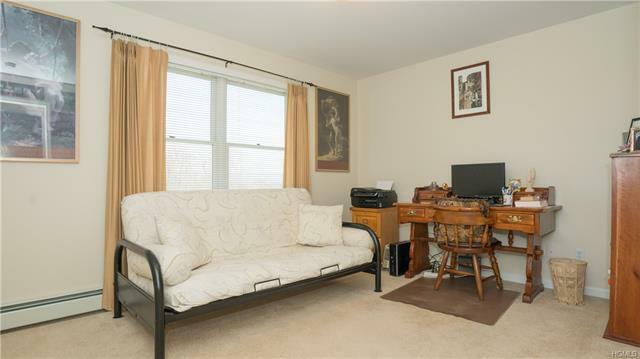 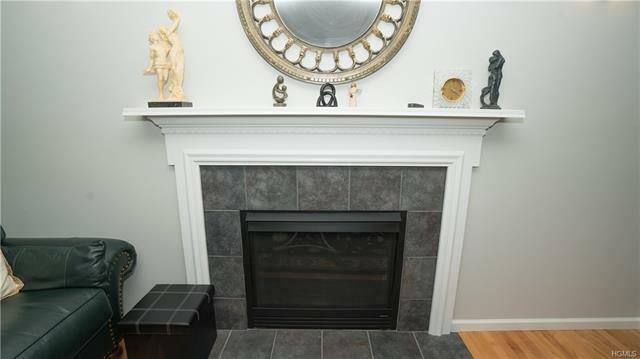 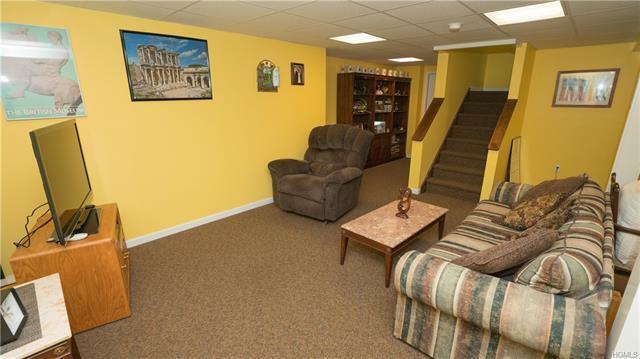 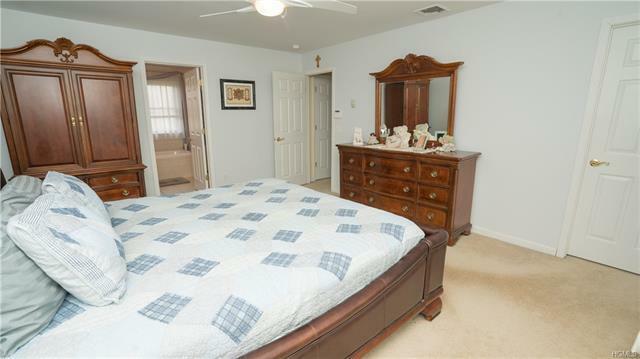 Great den/family room in the basement, tons of storage and direct access to the two car garage. 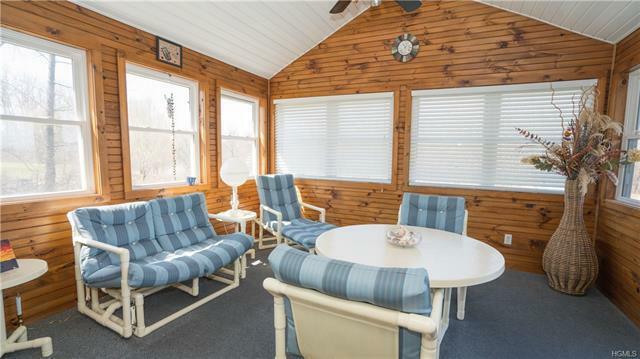 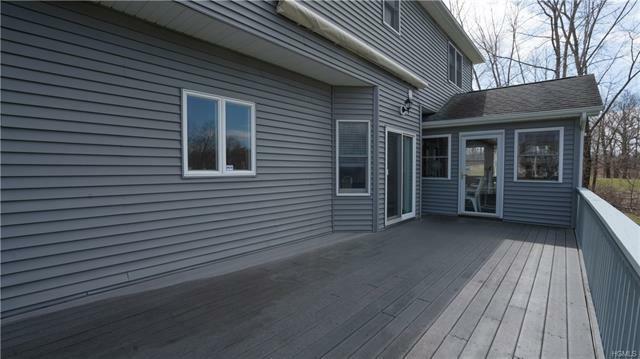 Alarm system, central air, shed, generator hook-up, retractable awning on over-sized maintenance-free deck overlooking unbelievable Shawangunk Mt. 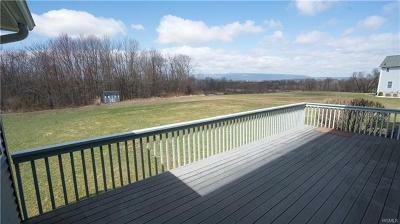 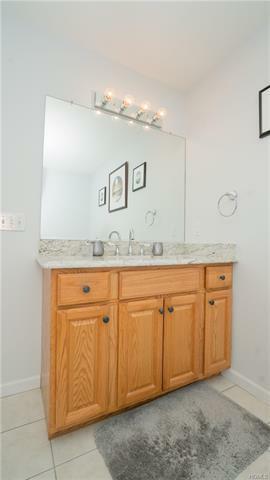 views are just some of the amenities in this wonderful move-in ready home. 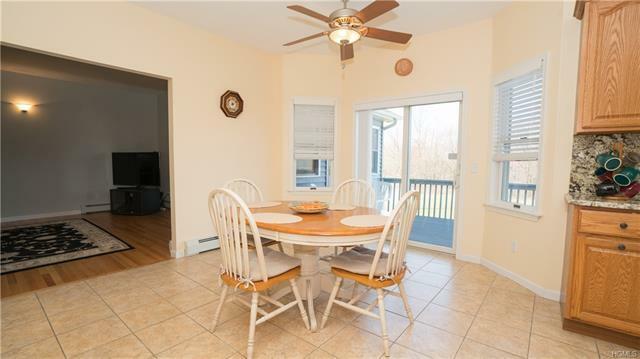 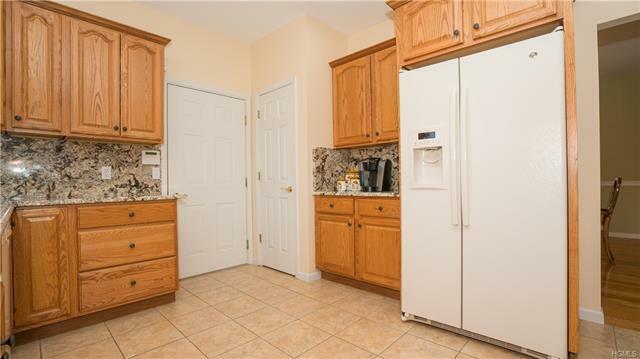 Close to New Paltz, Gardiner and just 15 minutes to commuter access to NYC via Metro North.